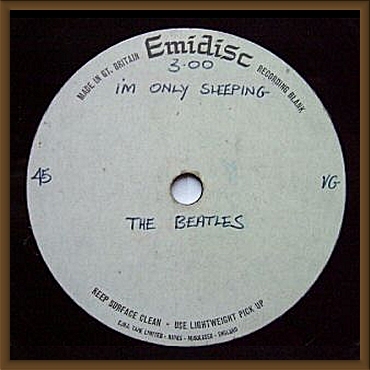 A rare Beatles 7 inch Emidisc single sided white label demo/acetate for the song ‘I’m only Sleeping’ from the 1966 album ‘Revolver’ - a pop masterpiece! This was John Lennon’s first song on Revolver and was recorded on April 27th, 1966, in eleven takes. The label is variously annotated in biro by hand with the title ‘I’m Only Sleeping’. 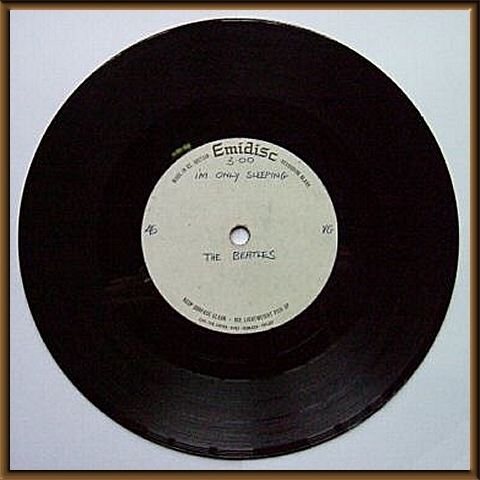 ‘3.00’ (for the duration), ‘45’ (for the speed), ‘VG’ (possibly for very good) and ‘The Beatles’. This is great demo version of this song with a very different mix. It plays very well. I have only played it once! There were no skips or jumps but the usual hiss and crackle applies! Condition is very good with no chipping or exposure of the metal core. Some minor scratching and finger marking, also with the blank side. The label has slight grubbiness. 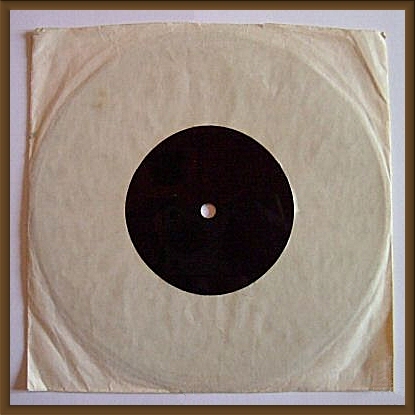 The record has a plain white paper sleeve, with a biro mark, some tears and discolouration. This is an excellent item and it would be sensible to record it and preserve it!